Here’s the start for a project that has been in my head for a long time. I’d like to make an animation series with many episodes. Here’s the beginning of the first episode. I’ll try to finish it during this month. The first and last frames are like that because I did this as an assignment for one animation course. All the students decided before actually animating anything what their last frame is going to be like and that frame was given to some other student who used it as his/her first frame. That way all the individual animations would make one big animation. I didn’t have the time to actually work on the sound so I used one track from DJ Bhakta. Really gifted guy. His tracks need a lot more exposure. 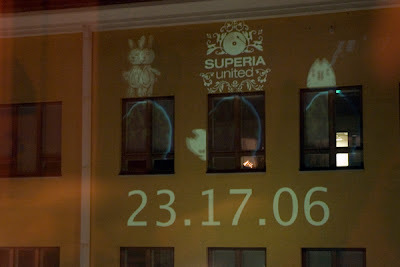 Bunny from Matti Niinimäki on Vimeo.